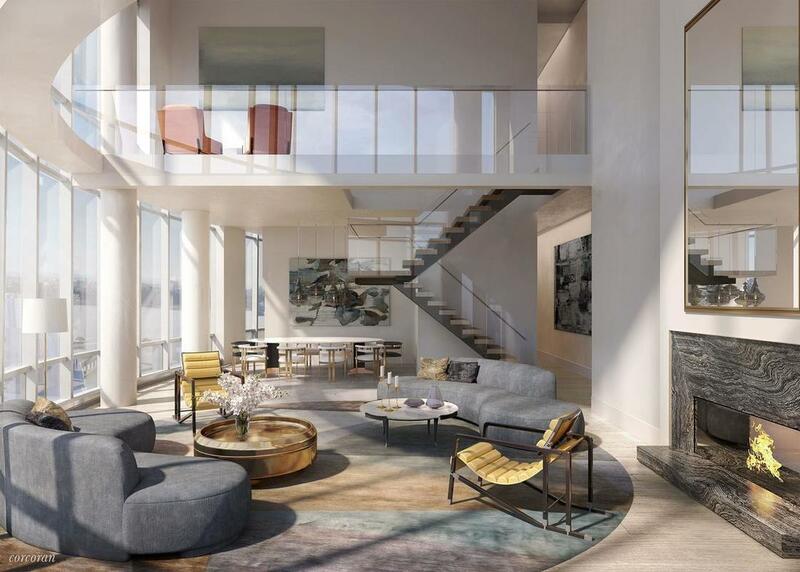 Developer: Related Companies & Oxford Properties Group; Architect: Diller Scofidio + Renfro in collaboration with Rockwell Group. 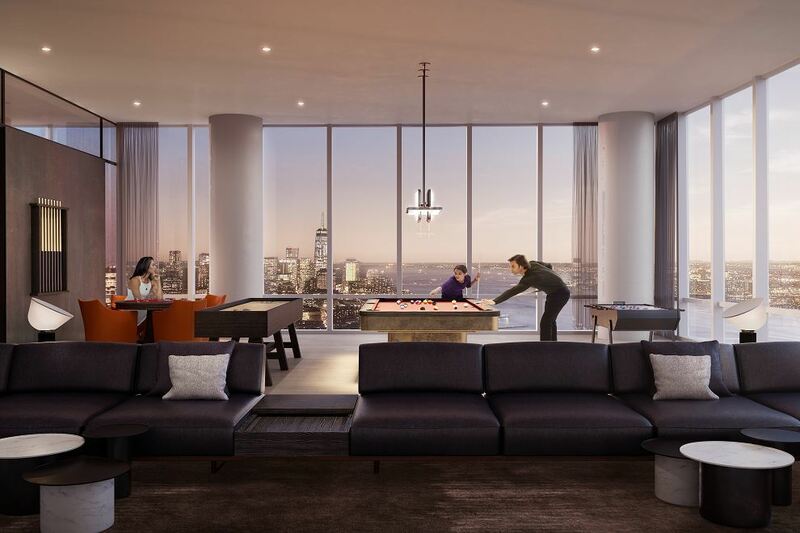 Introducing the first residences at ultra modern 15 Hudson Yards, offering a distinctive living experience – tailored design with five residence types and two design palettes, unparalleled amenities, a gracious lobby located directly on the Public Square and Gardens and breathtaking Hudson River views – all just moments from the creative energy of West Chelsea. 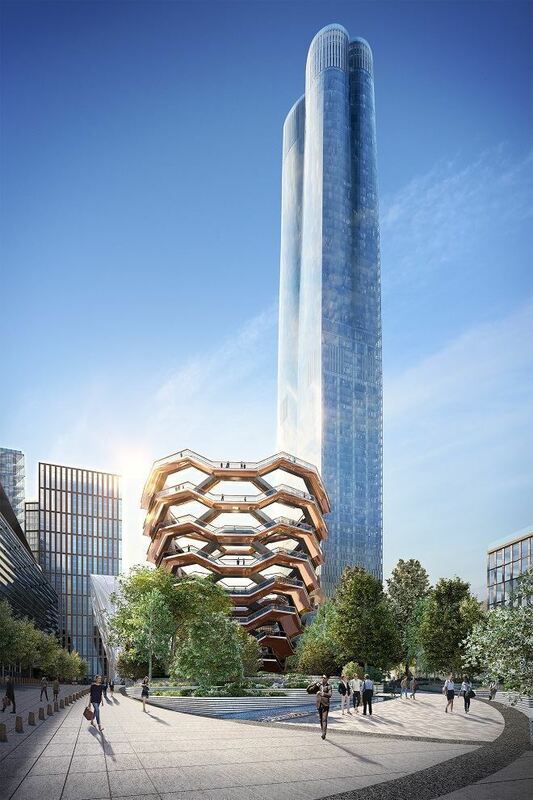 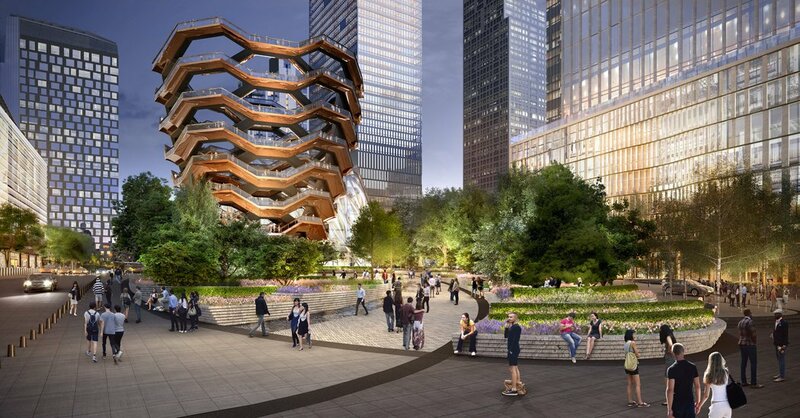 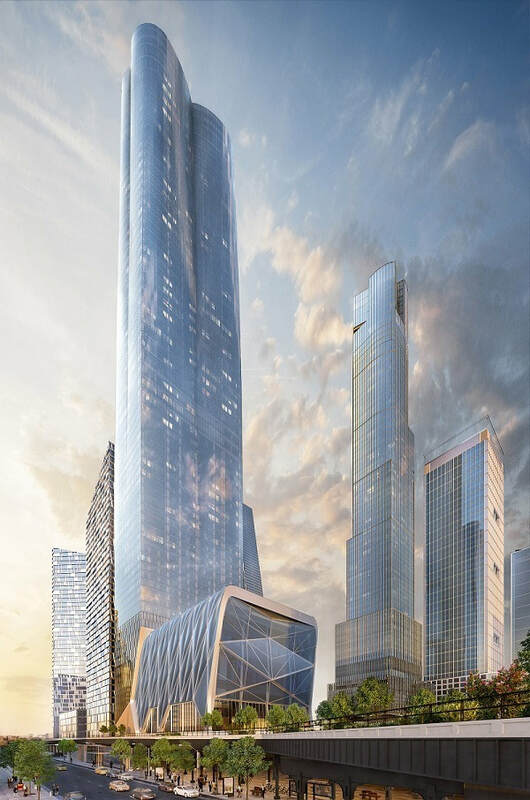 Fifteen Hudson Yards’ 88-story tower features an elegant silhouette, formed by four graceful arcs of glass, located on the High Line and adjacent to The Shed – New York’s forthcoming center for artistic invention. 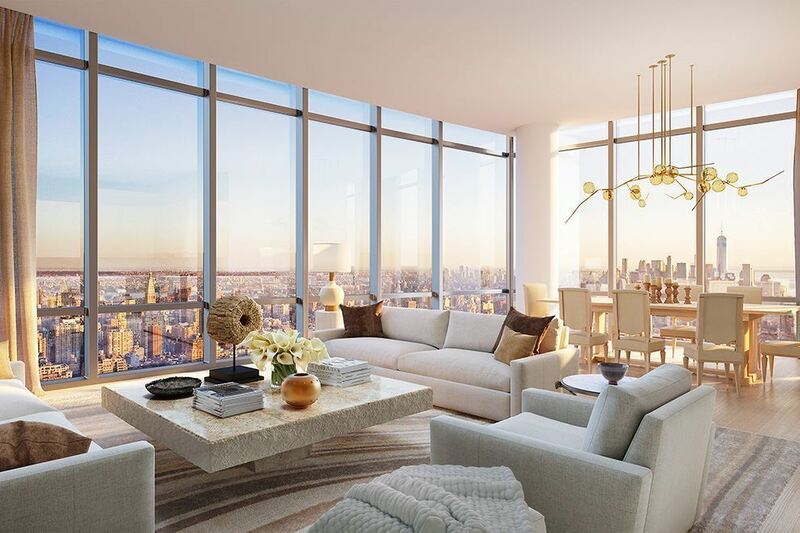 Choose your ideal New York life. 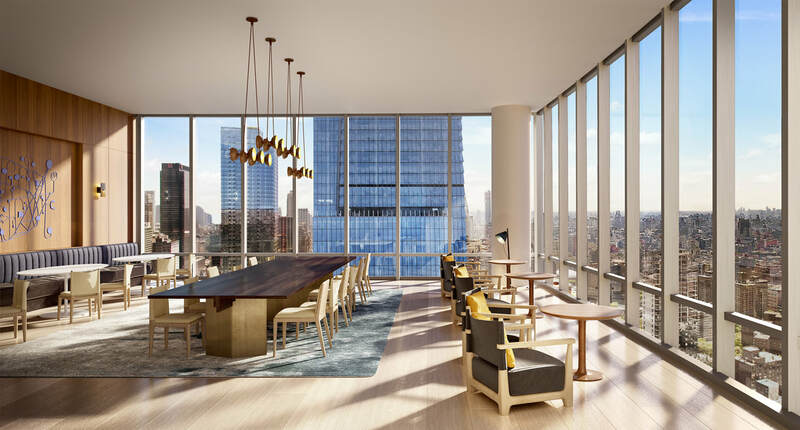 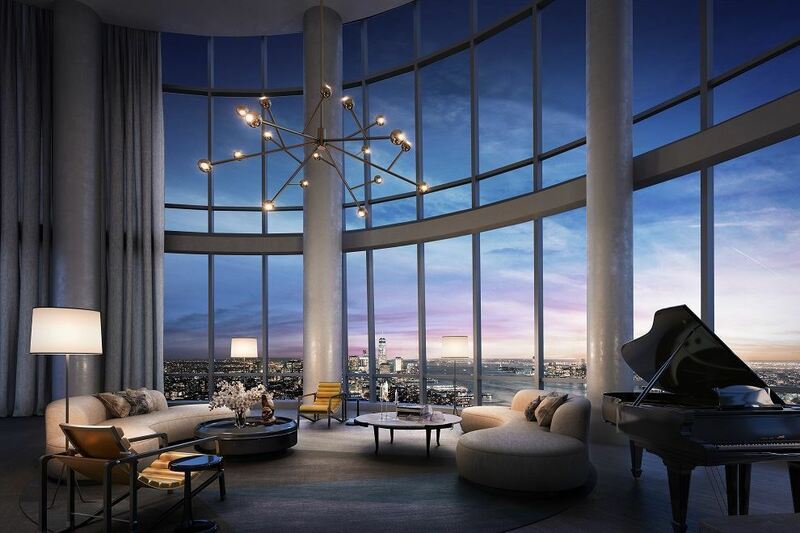 Fifteen Hudson Yards features an impressive collection of residences to suit every taste with exciting views, soaring ceilings and custom interiors. 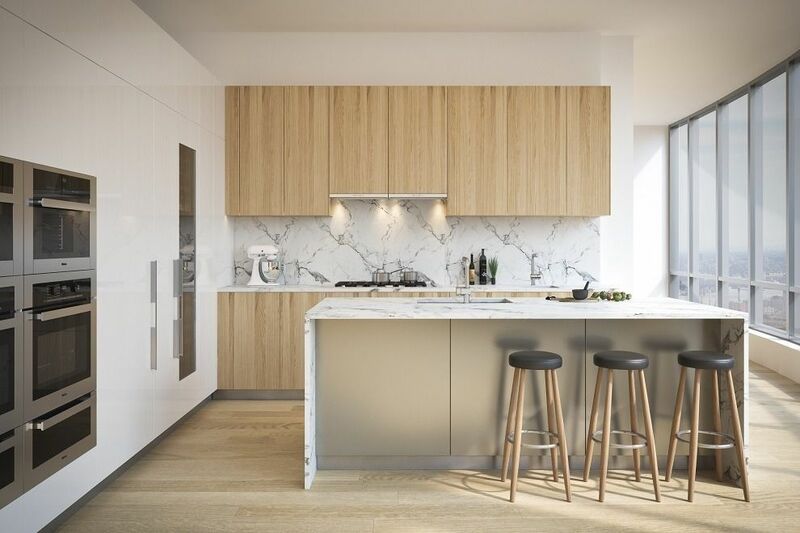 Apartments have handsome wide-plank white-oak flooring, hand-selected materials and kitchen appliances by Miele. 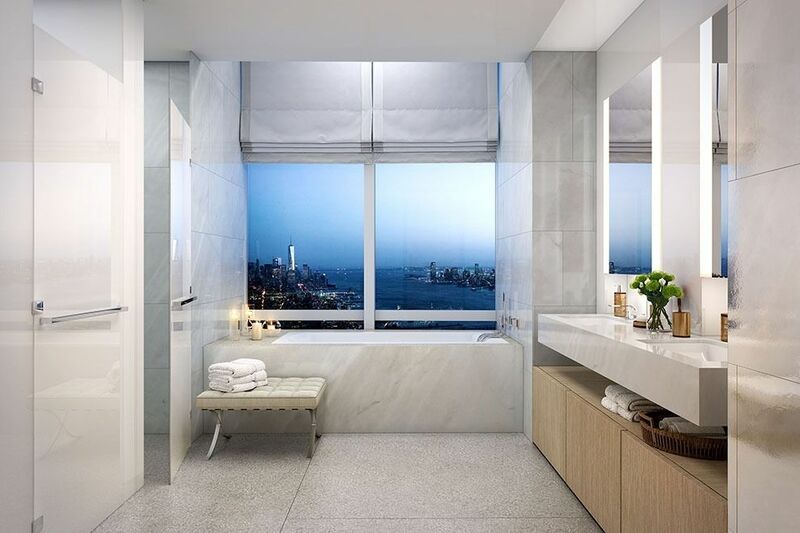 Bathrooms at Fifteen Hudson Yards utilize neutral tones and top-tier materials, with features that include deep soaking tubs, floating stone vanities, heated floors and ample storage. 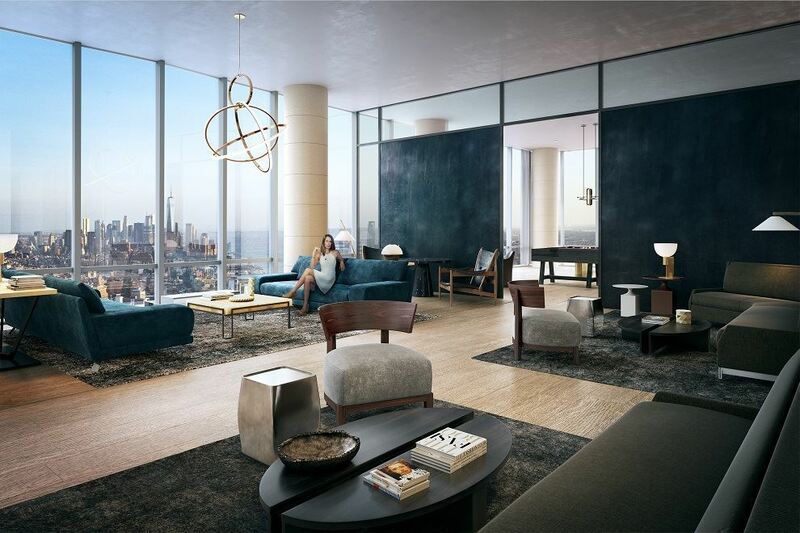 Residents can select from two interior design palettes.Residences range from High Line-facing one-bedroom layouts to duplex penthouses with panoramic city views, soaring ceilings and more than 5,000 square feet of living space. 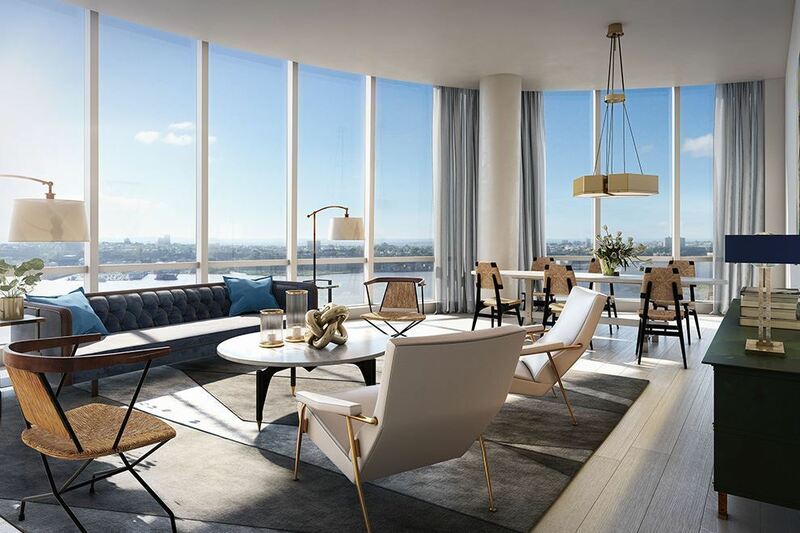 With lavish master suites, expansive floor plans and hand selected materials, Fifteen Hudson Yards is masterfully designed with beautiful modern details, exceptional finishes and dramatic views. 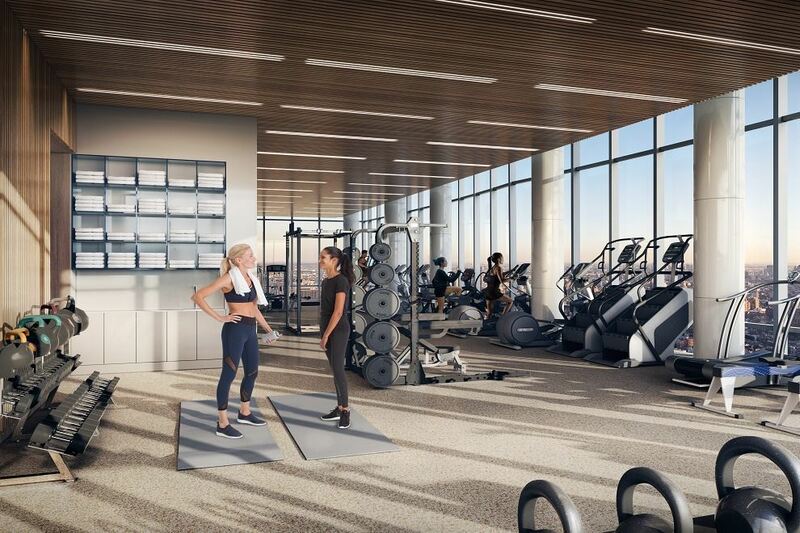 Enjoy the best in fitness, leisure and entertaining with Fifteen Hudson Yards’ world-class amenities. 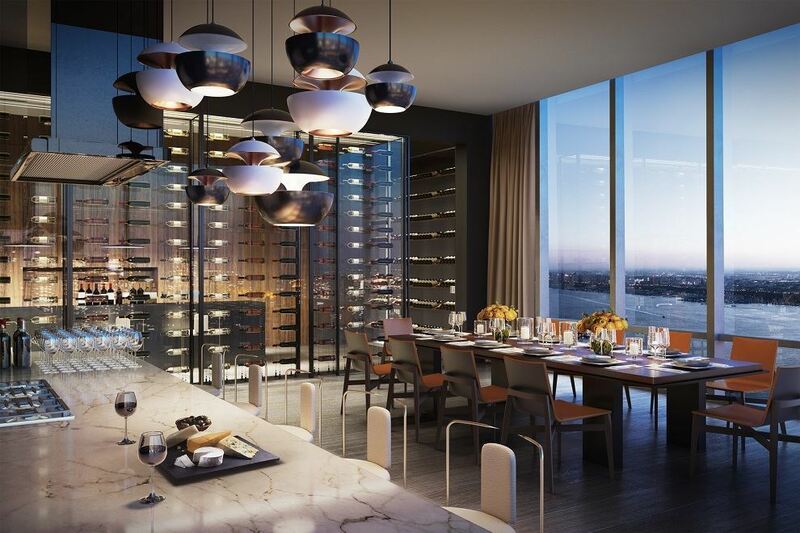 The extraordinary lifestyle of Fifteen Hudson Yards extends beyond individual residences. 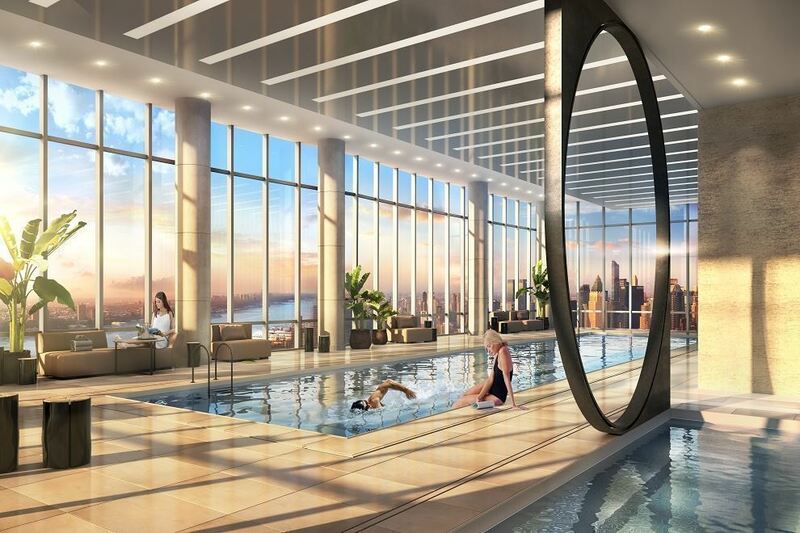 Swim laps while enjoying expansive city views on the 50th floor, which is entirely dedicated to wellness pursuits including 12,000 square feet of spa, salon, and fitness facilities. 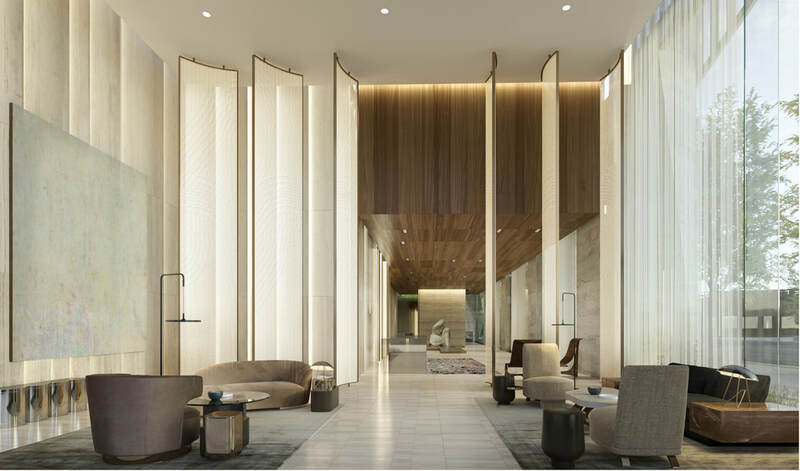 One floor up, the 51st floor is a gathering space with lounges, private dining suites, a club room for game day and a state-of-the art collaborative work space. 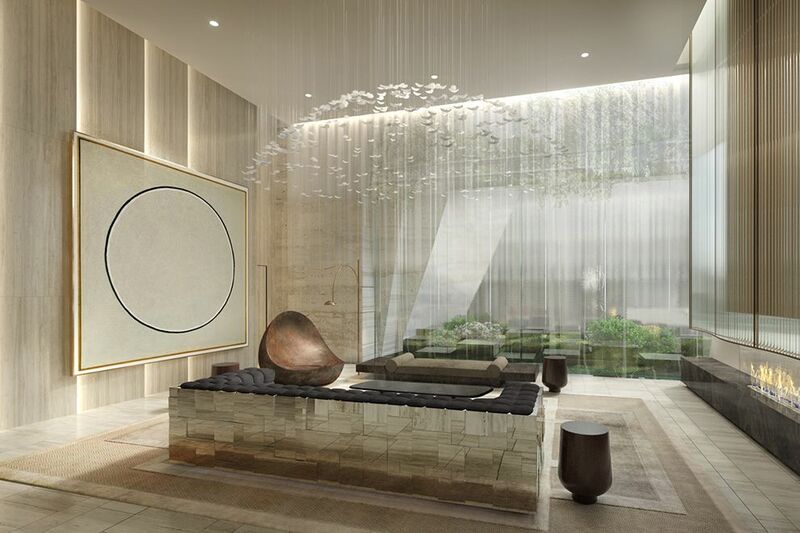 Residents can also curate their own tailored experience with access to an extensive collection of concierge services through their designated Luxury Attaché representative. 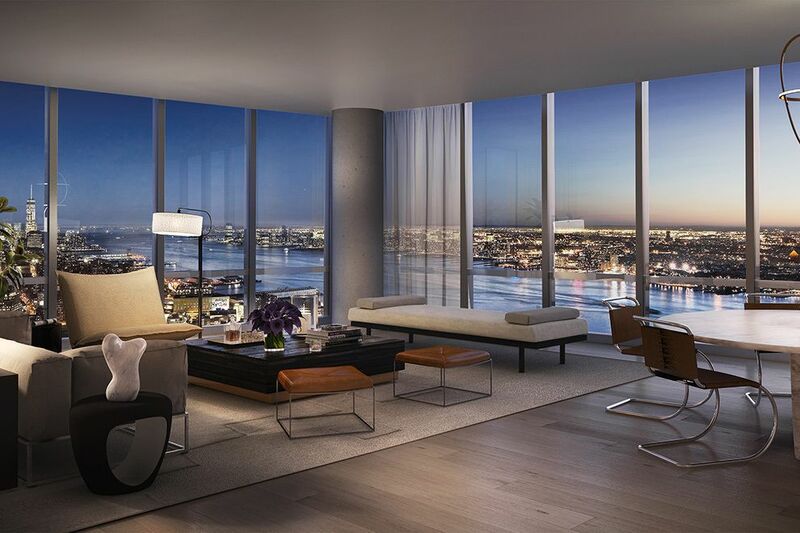 Prices: 2BRS from $3.875M; 3BRS from $6.43M; 4BRS from $11.88M.